DH Dental Clinic offers premium quality crown and bridge services in Lahore. 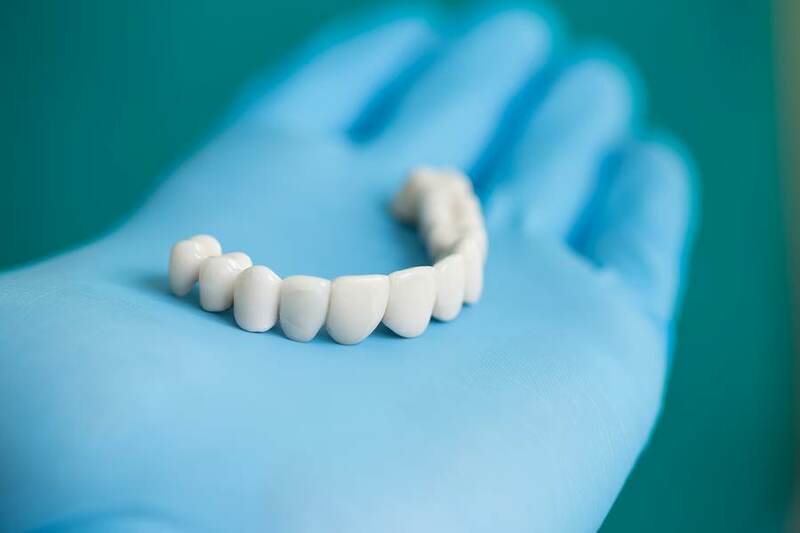 In addition to strengthening a damaged tooth, bridges and crowns can be used to improve a tooth’s appearance, shape, alignment and dental occlusion (bite). A crown is used to entirely cover or “cap” a damaged tooth. Besides strengthening a damaged tooth, a crown can be used to improve its appearance, shape or alignment. A crown can also be placed on top of an implant to provide a tooth-like shape and structure for function. Porcelain or ceramic crowns can be matched to the color of your natural teeth. Other materials include gold and metal alloys, acrylic and ceramic. These alloys are generally stronger than porcelain and may be recommended for back teeth. Porcelain bonded to a metal shell is often used because it is both strong and attractive. As with crowns, you have a choice of materials for bridges. Your dentist can help you decide which to use, based on the location of the missing tooth (or teeth), its function, aesthetic considerations and cost. Porcelain or ceramic bridges can be matched to the color of your natural teeth. Make an appointment today and see how DH Dental can give you a new reason to smile. Have a question or concern regarding any of our services? Please view our contact page and we will be glad to help.